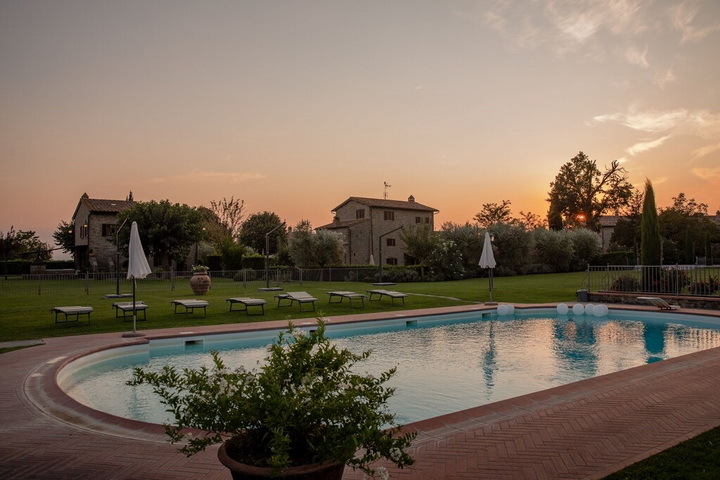 The farm holiday "I Pagliai" lies at the foot of Cortona in a little village of the Tuscan countryside. Different accommodation options are available: B&B bedrooms, newly renovated apartments as well as independent farmhouses. The whole property can be rented out as a single unit which accomodates 20+5 people in 4 independent apartments (Casa Tobia Sopra e Sotto, I Pagliai Sopra e Sotto) with exclusive use of the swimming pool. Close to the main house lies a stone independent farmhouse called "CASA TOBIA", newly renovated and equipped with all comforts. It is made up of two independent apartments, each for 4 people. 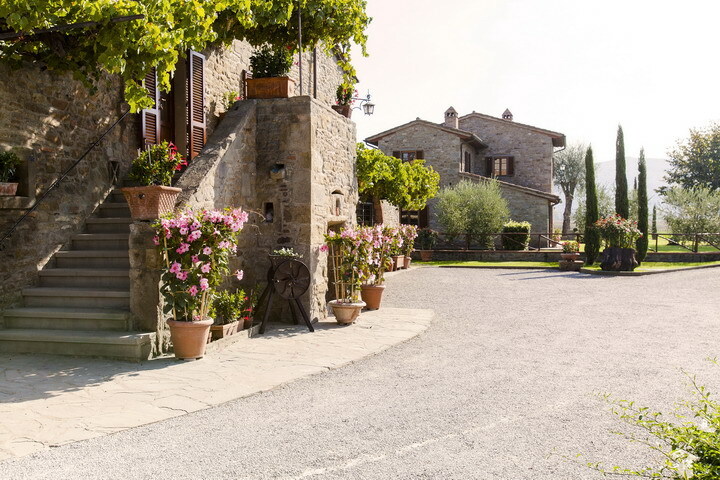 A lovely stone path leads to the loggia of Casa Tobia, fully equipped for open-air meals. On the ground floor there is a large kitchen-living room with dining area, fireplace and sofa, decorated according to the typical Tuscan tradition in order to create a warm and cosy ambience. On this very floor there also two double bedrooms, each with en-suite bathroom and wrought iron beds. A stone arcaded staircase leads up to the first-floor apartment made up of a fully equipped kitchen with dining area, two double bedrooms and a bathroom with shower. "I Pagliai" is an old XVII century farmhouse that has been completely renovated and divided into 2 apartments. 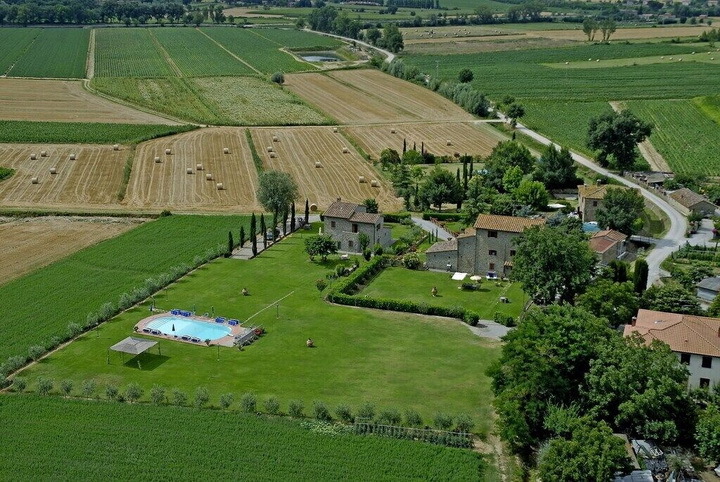 I Pagliai Sopra" is a 270 sqm farmhouse ideal for 8 people. First floor: large kitchen with fireplace, kitchenette, living room, double bedroom, bathroom with shower. Second floor: double bedroom and bathroom with shower and bedroom with one double bed and 2 singles and bathroom with tub. The house is furnished according to the traditional Tuscan country style: Terracotta tiled floors, exposed wooden beams and wrought iron beds add up to the atmosphere of this beautiful hamlet. 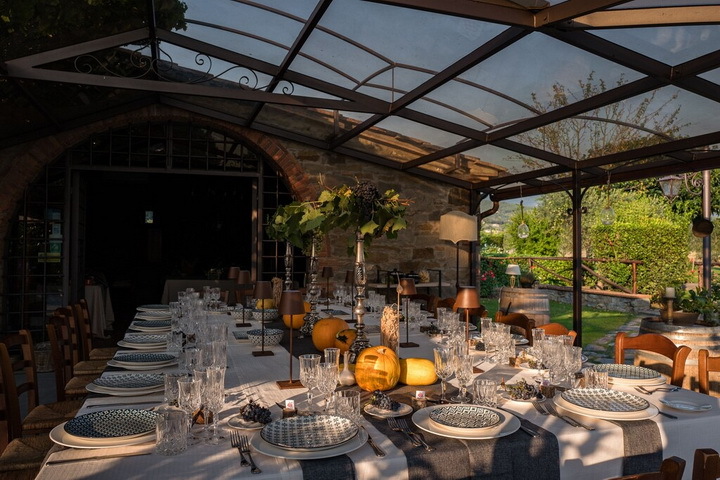 I Pagliai Sopra has also an equipped loggia, ideal for delicious open-air meals. "I Pagliai Sotto" is a 90 sqm apartment, ideal for 4 people, that has been made out of the farmhouse's cellar and stables. It comprises a large kitchen-living room, two spacious double bedrooms with ensuite bathroom and private garden. A large well equipped garden with barbecue and wood-burning oven is also available. 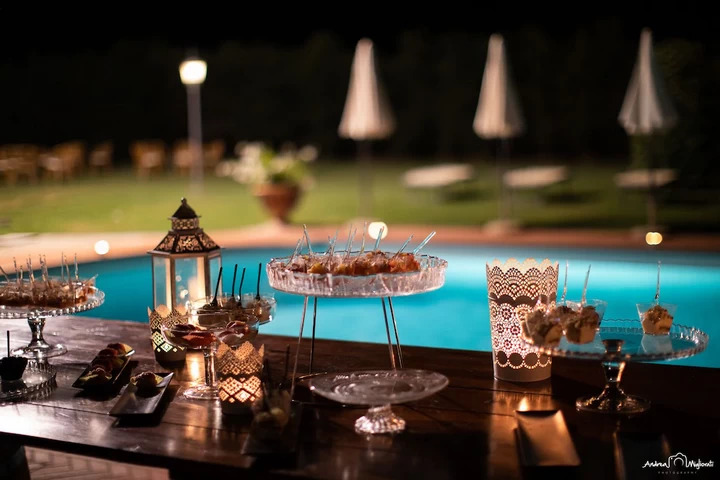 I Pagliai offers an insight into the past country life but is also an excellent base for visiting important artistic towns, hence assuring its guests a pleasant and peaceful holiday in the name of tranquillity, warm-heartedness and culture.